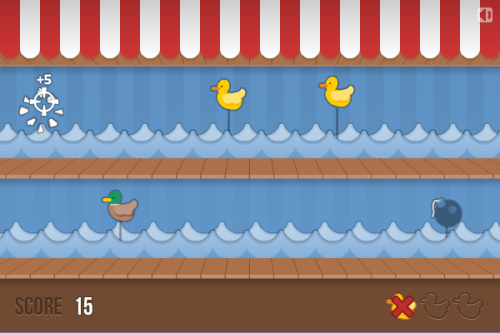 Description Shoot ducks in a basic shooting gallery game with high scores. Controls Use the mouse to aim and shoot. Don't hit the bombs and don't let a duck pass by or you'll lose a life. Thanks for the feedback! Sound is fixed now.